The properties in The Grove are located in an enviable position, tucked away to the rear of the High Street and within walking distance to the individual local shops, bars, restaurants and Railway Station. 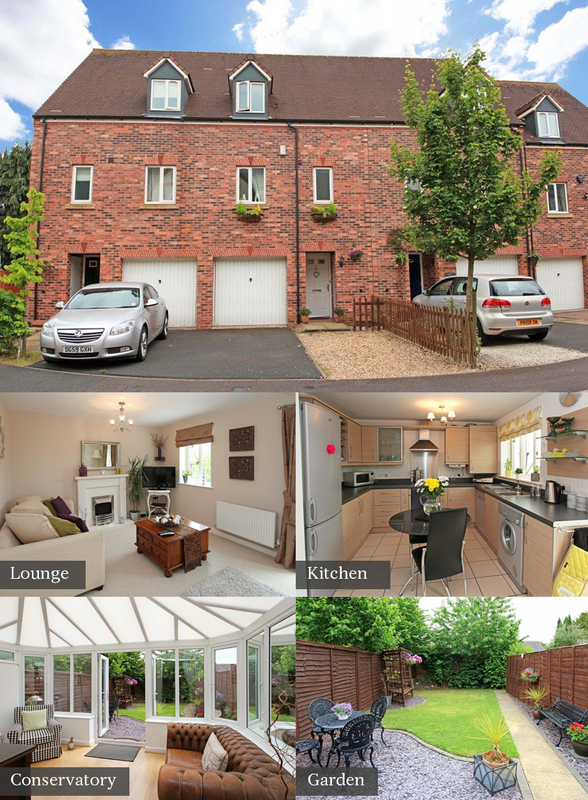 This delightfully presented property offers spacious flexible accommodation over three floors. The accommodation comprises; through hallway, kitchen/diner with integrated oven, hob and cooker hood, conservatory, and guest cloakroom on the ground floor. Stairs rise to the first floor landing and a superbly presented lounge with Juliette balcony overlooking the rear garden, family room/bedroom three with en suite shower room and two built in wardrobes. Stairs rise to the second floor landing and offers two delightful bedrooms (both with fitted wardrobes) and family bathroom. Externally there is an integral garage, driveway for parking at the front and a South-facing garden laid to lawn with various shrubs and borders to the rear. The property is ideally situated for Shifnal High Street, Railway Station, local schools, the church and within easy reach for the M54 and the West Midlands. See all images, property details and floorplans for The Grove, Shifnal on our property page.